All About Learning Press has been a part of our homeschool for the past 6 years. My 12 year old, Malachi, started with Level 1 at age 6 in the 1st grade, and has completed all the books from 1 to 6, doing one level per school year. I have love teaching this program and he has loved learning with it. We finished Level 6 this spring, but he's such a great speller now that I debated whether or not we should do All About Spelling Level 7. The last few levels have been easy for him, so I thought that All About Spelling had worked itself out of a job. But, then I took a closer look at Level 7, and I knew I wanted him to finish strong. 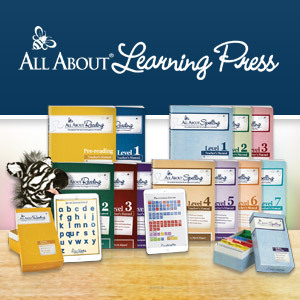 I am an affiliate for All About Learning Press. What's Taught in Level 7? Your student will learn 275 new words over the course of 30 lessons, plus hundreds of additional practice words. (We use the additional words much like the Word Banks or for additional practice as needed. I love that these are included!). Since the Word Cards are in plastic page protectors, I can put a transparent dot over any Word Cards he misses, so I know I need to review it. Other components are of course the tiles. In Level 7, we have Greek word parts, Latin roots, more prefixes, and more suffixes. The Greek and Latin tiles have the English meaning on the back. I think this is great! In fact, I would love to see that the back of the prefixes and suffixes had meanings too. In Step 2, we assembled the Writing Station by cutting out the "Story Starter Cards" and placing them in the colored pocket cards taped to the Writing Station. Malachi likes doing the Writing Station. He picks one slip from each pocket for a creative writing prompt. "Describe the goals of a tall, dark, circus performer who has nineteen pet cats." He likes the creative writing aspect too. He doesn't like the dictation as much, so I usually only have him do 2 or 3. 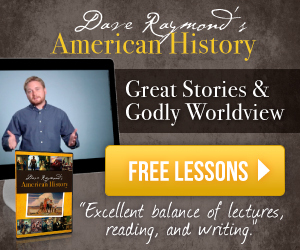 Here's where I confess that I sometimes double up and do two lessons. When I do this, I skip the dictation and only do one writing station. This level so far is easy for him, but I'm still going to finish Level 7. Steps 2 through 16 teach letter combinations and spelling patterns, such as sc, zh, com, zh, du, /y/ spelled I and /m/ spelled mn, when to drop the E before a consonant suffix, when to keep the E before a vowel suffix, /sh/ spelled ci, e-consonant-e, words ending in ance, words ending in ence, words ending in ize, and /sh/ spelled ss or ssi. Steps 17 through 20 teaches Latin Roots using Word Trees. The Word Tree helps your student create words using the latin root, prefixes, and suffixes. On the front of the tile is the root. Flip the tile over to learn the root meaning. The objective is to see how many words you can create and write on the branches of the tree. Steps 21 through 23 teaches Greek word parts. Over these three lessons, 18 Greek word parts are taught. The Appendix has an additional 29 Latin and Greek roots for your student to learn. 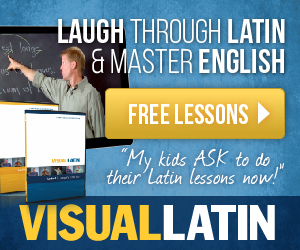 If you have ever been overwhelmed with teaching Latin and Greek roots, this is a great place to start! In Steps 24 through 29, common French, Spanish, and Italian loan words, spelling patterns, and endings are taught. The final lesson in your All About Spelling journey includes A Plan for Lifetime Learning that includes a formula for future spelling success. What is the age/grade range? Since levels are not grade levels, Level 7 will take you through high school level spelling and includes 9th-12th grade level words as well as strategies to spell any word. Word analysis and spelling rules and strategies teach students HOW to spell. These tools can be used with ANY word. My students are equipped to be efficient and excellent spellers. Vocabulary is naturally being learned through spelling. That's a win-win! Malachi is a confident speller. His confidence grew every year by leaps and bounds. He doesn't think he needs spelling anymore, but we are in the homestretch, so we are going to finish strong! After we finish Level 7, we will be on the look out for new and unfamiliar words in print all around us. Having been equipped with all the right tips and tools, like Word Analysis and Spelling Strategies, we will slay those hard to spell words. Read What Happens after All About Spelling to learn more. Absolutely! 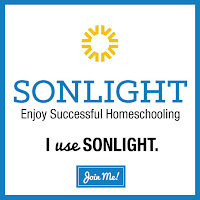 I recommend a lot of programs, but I only highly recommend a select few that have truly changed my homeschool for the better. 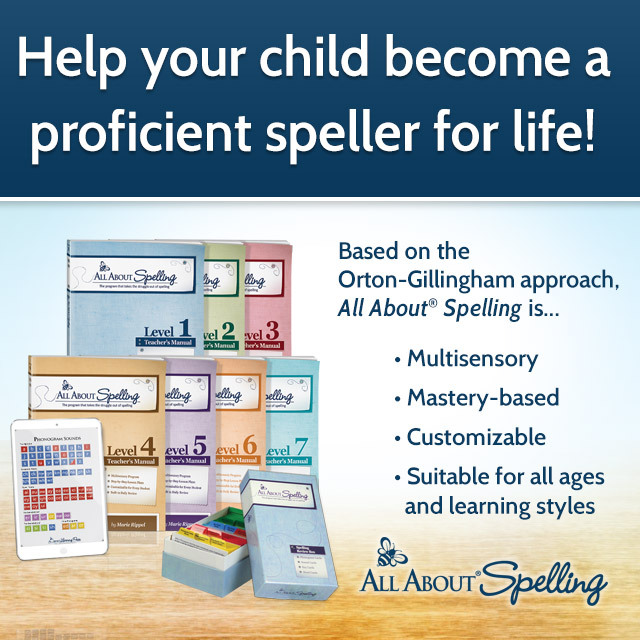 All About Spelling is one of those programs that has made a significant impact on our homeschool. I've mentioned before that All About Learning programs can be teacher intensive, but the later volumes take less time and are easier to teach. I promise! We can do one lesson in one 10 minute sitting, so I don't take a whole week to do a lesson. I do the lesson, read the word bank, review the word cards, and take a spelling test. I sometimes throw in those extra words I mentioned above during the test to make sure he understood the spelling pattern taught. It's super easy! Tip: I haven't used the tiles for several levels. My son does not need them anymore. I teach right from the manual, covering up the answers as I go. This makes All About Spelling super easy to do. Of course, if my son needed the hands on aspect of the tiles, they are there! The tiles are a critical component of the program, but as your child gets older, he or she may not need them anymore. With only 24 lessons in the manual, we can take our time and spread it out over 24 weeks with plenty of room for breaks when other subjects are more pressing, but it took us 3 months to do level 6. The amount of time spent in review gets shorter and shorter the closer you get to the end. All that hard work in Levels 1-3 starts to pay off after Level 4! So if you have finished Level 3 or 4 and are wondering if you should move on, I vote yes! We will start a new journey with All About Spelling this year when my youngest starts Level 1. He's actually been begging me to start! Now that he has finished All About Reading Level 1, he's feeling pretty smart. My 5th grader will do Level 5 this year, and she's feeling more confident than she ever has. Is there anything I don't like about teaching with All About Spelling? All About Spelling can feel "teacher intensive." In the beginning it was more work than I wanted to do, and our lessons lasted longer than liked, so I didn't pull it out daily. I usually only did 2 reading lessons and 1 spelling lesson a week. When I felt like "couch schooling," I used a moveable alphabet app and the Phonogram Sounds App on my phone, and found other creative ways to make it work without using the tiles because I believe it is a valuable and worthwhile program. But, that's the only thing I can think of that's not to like - I can't just hand my child a workbook. But, that's just another reason why I feel like a real teacher with this program - I'm actually teaching! Over time, it has become our easiest subject, so I'm glad I stuck it out. Rest assured, it gets easier as you go! All in all, All About Spelling has really made a difference for me and my children. I am a better teacher with this program. I am applying the rule, tips, and strategies in our everyday life. I love how smart I am! My children are better spellers. I still have to remind them of concepts, but less and less, and I'm so happy to be in the homestretch with the last level in All About Spelling. 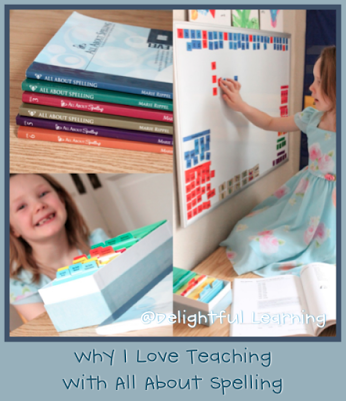 Disclaimer: I received a free copy of this product from All About Learning Press in exchange for my honest review. I was not required to write a positive review nor was I compensated in any other way. All opinions I have expressed are my own or those of my family. I am disclosing this in accordance with the FTC Regulations. Thank you for this review. I am also a big fan of AAS! I have just finished AAS level 1 with my 7yo. I have 3 more children coming up (5,2 and baby) and I've been a little concerned that it might be hard to keep up with AAS for 4 kids! So I'm happy to read that it gets easier as you move through the levels. We also love AAR! My 7yo has completed levels 1&2 and my 5yo the pre-level. Next year we will be doing level 3 and level 1 along with AAS2 for my oldest! I hope I can manage it all. It really does get easier as you go! This year I had 2 in AAR and 2 in AAS. Next year, I will have 3 kiddos in AAS (Levels 1, 5, and 7) and AAR 2. I used to do both programs together, but I now do AAR first and then add AAS after they finish the level they are on. This helped make it easier, too. I just wanted to comment about the fact that the higher levels are easier and take much less review for your son. This did happen with my oldest child that used AAS, but this is NOT so for my next two children (my last child is just starting AAS 4, so I don't know about her yet). My sons are in AAS 7 and AAS 6 respectively, and they cannot master the material of a step in a day. I spend about a week per step with them. My student in AAS 7 NEEDS that amount of time and regular and ongoing review of the mastered words in order to continue being successful with spelling at this level. My student in AAS 6 could move a bit faster, maybe a step every 3 days, but since he is on track to finish AAS 7 in 7th grade, I'm not in a hurry with him. With these students, each level of AAS has taken longer to complete than the last. Still, I completely agree that All About Spelling is a homeschool changing program. I am absolutely sure that my boys would have no success with spelling at all if it had not been for All About Spelling. Thank you for sharing your perspective, Robin. I'm sure others that may not be able to move as fast will appreciate seeing your experience. My daughter (going on Level 5) needs a little more practice, but we still moved through Level 4 doing one lesson in a day. If she missed a word, I had her write it three times and then added it to the next lesson with a quick review of concepts every 4 lessons or so. It's still much easier than when we started because I am more experienced. I have taught Level 4 to five students now, so it is easier for me to teach. In the beginning, it was a lot of work to even pull it out. Teaching one lesson in a day and reviewing missed words has made it easy for me. Spelling didn't always come easy to Malachi, but it does now. He rarely misses a word on the first try, so I think AAS has been a success in our homeschool. I have a question for you concerning all the letter tiles for AAR and AAS! As I said above, I will have my 8yo doing AAR3 and AAS2 and my 6yo will be doing AAR1. Do I need to have two white boards for the letter tiles - one for AAR and one for AAS? How have you found it easiest and best to organize and display the letter tiles for multiple levels of each program going on simultaneously? You only need one board and letter tiles set for both AAS and AAR. When Bo started AAR 1, I set up a board just for him with only the letter tiles he needed for Level 1, and have a board for the older kids with all the tiles for all the levels. (I only hang one up at a time). I thought this was easiest when teaching the younger one, but for the longest time, I only had one board for all my students and it worked just fine. I would do whatever is easiest for you!